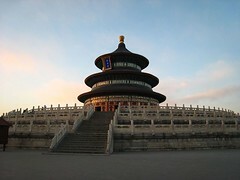 China has become a major tourist destination, especially since its opening to the world in the late 1970s. In 1978, China received about 230,000 international foreign tourists; in 2007, according to the United Nations World Tourism Organization, China received 54.7 million international visitors, after France (81.9 M), Spain (59.2 M) and the USA (56.0 M). Tourist resources in China can be divided into three main groups: natural sites, historical and cultural sites, and folk customs.